Nothing is more important to parents than their children. Going through a separation or divorce is undeniably one of the most trying events a family can face. Lives are rearranged, possessions split, and emotions run high. A custody battle can be truly frightening without the proper representation. Grudowski Law Associates, P.C. is here for you in your time of need. We understand how important your children are to you and we will fight for your parental rights like your life depends on it. We work with you to draw up fair custody agreements, visitation scheduling, child support, and more. If you’re facing divorce and want to ensure that your future will include your children, don’t wait – call us today at 412-904-1940 or Contact Us online today. In Pennsylvania, determinations of custody and visitation are never considered final. Without favoring either the mother or father, courts look to the relationship of each parent and child. In these proceedings, the child’s preference is one of many factors considered by the court. In seeking what is best for the children, even grandparents may file a petition for physical and legal custody of a grandchild. 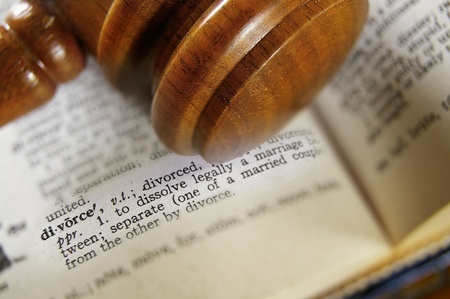 The law is complex and distinguishes between physical custody and legal custody. It also addresses issues like a custodial parent moving out of the area with the child, access to medical records by the non-custodial parent, and how to seek emergency custody of a child whose life, health, or welfare is in immediate danger. Did you know that even if a parent is not complying with a support order, a custody order which allows him or her to see the child must still be honored? As you can see, the potential for legal difficulty is enormous. If you are facing even possible custody issues, you should seek the help of experienced family law attorneys immediately. Contact Grudowski Law today, for more information on how we can help keep your kids in your life. We are pleased to provide this link as a convenience to the visitors to our website. For more information on receiving child support or paying child support, please don’t hesitate to Contact Grudowski Law for your Free Consultation and Case Evaluation.